Handcrafted in 950 Sterling Silver, with solid silver security clasp. Available in all our stones! The sides of each square module measure 4 mm. This bracelet has 22 module in total. It measures 7.5 inches long (available in other lengths as well) . 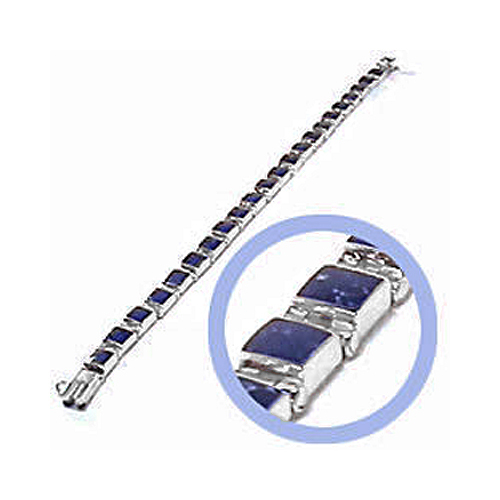 The silver hinges give this bracelet flexibility: it will follow every movement of your wrist! It comes with a solid 950 Sterling Silver security clasp.